In 1965, as the grapes in California's Coachella Valley were ready to harvest, migrant Filipino American workers--who picked and readied the crop for shipping--negotiated a wage of $1.40 per hour, the same wage growers had agreed to pay guest workers from Mexico. But when the Filipino grape pickers moved north to Delano, in the Central Valley, and again asked for $1.40 an hour, the growers refused. The ensuing conflict set off one of the longest and most successful strikes in American history. In Strike!, award-winning author Larry Dane Brimner dramatically captures that story. 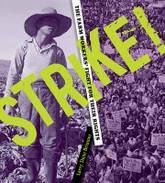 Brimner, a master researcher, fills this riveting account of the strike and its aftermath with the words of migrant workers, union organizers, and grape growers, as well as archival images that capture that first strike in 1965 and the ones that subsequently followed.  Includes an author's note, bibliography, and source notes. 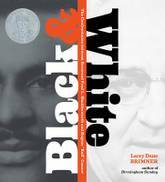 A 2018 Robert F. Sibert Informational Book Award Winner On May 4, 1961, a group of thirteen black and white civil rights activists launched the Freedom Ride, aiming to challenge the practice of segregation on buses and at bus terminal facilities in the South. The Ride would last twelve days. Despite the fact that segregation on buses crossing state lines was ruled unconstitutional by the Supreme Court in 1946, and segregation in interstate transportation facilities was ruled unconstitutional in 1960, these rulings were routinely ignored in the South. The thirteen Freedom Riders intended to test the laws and draw attention to the lack of enforcement with their peaceful protest. As the Riders traveled deeper into the South, they encountered increasing violence and opposition. 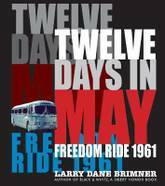 Noted civil rights author Larry Dane Brimner relies on archival documents and rarely seen images to tell the riveting story of the little-known first days of the Freedom Ride. With author's note, source notes, bibliography, and index. 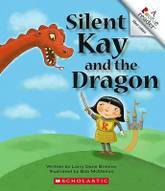 A Kirkus Reviews Best Children's Book NEW FROM 2018 SIBERT MEDALIST LARRY DANE BRIMNER! Here is the story of 19 men from the film industry who were investigated for suspected communist ties during the Cold War, and the 10--known as the Hollywood Ten--who were blacklisted for standing up for their First Amendment rights and refusing to cooperate. World War II is over, but tensions between the communist Soviet Union and the US are at an all-time high. In America, communist threats are seen everywhere and a committee is formed in the nation's capital to investigate those threats. Larry Dane Brimner follows the story of 19 men--all from the film industry--who are summoned to appear before the House of Representatives Committee on Un-American Activities. All 19 believe that the committee's investigations into their political views and personal associations are a violation of their First Amendment rights. When the first 10 of these men refuse to give the committee the simple answers it wants, they are cited for contempt of Congress and blacklisted. Bayard Rustin dedicated his life to helping others--fighting injustices and discriminations--so that people could live as one. Protesting segregation long before there was a civil rights movement, he often was arrested for his beliefs and actions. As a nonviolent activist, Bayard made his mark working alongside many African American leaders, notably A. Philip Randolph and Martin Luther King, Jr. As an organizer, Bayard was largely responsible for bringing people together to walk for freedom and jobs in Washington, D.C., on that memorable summer day, August 28, 1963. 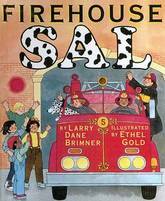 With style and careful attention to history, Larry Dane Brimner captures a story of passion, courage, and triumph through Bayard's own words and archival photographs in this Jane Addams Children's Book Award winner. In December 1915, San Diego's leaders claimed the town's reservoirs were nearly dry. Knowing the city would not survive and grow unless it had water, they hired Charles Mallory Hatfield, whose skills at making rain were legendary. But when torrents and torrents of rain came, disaster struck. Roads were closed, people drowned, and dams burst. The town elders blamed Hatfield and refused to pay him. 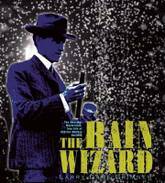 Was Hatfield really a rain wizard, or simply a fraud? Renowned author Larry Dane Brimner examines the man and the myth by relying on personal recollections from growing up in California, as well as extensive research. Readers will be captivated by Hatfield-a man once known as the Frankenstein of the air-and his secret rainmaking formulas. 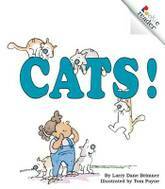 Includes author's note, source notes, and bibliography. Racial bombings were so frequent in Birmingham that it became known as Bombingham. Until September 15, 1963, these attacks had been threatening but not deadly. On that Sunday morning, however, a blast in the 16th Street Baptist Church ripped through the exterior wall and claimed the lives of four girls. The church was the ideal target for segregationists, as it was the rallying place for Birmingham's African American community, Martin Luther King, Jr., using it as his headquarters when he was in town to further the cause of desegregation and equal rights. Rather than triggering paralyzing fear, the bombing was the definitive act that guaranteed passage of the landmark 1964 civil rights legislation. Birmingham Sunday, a Jane Addams Children's Honor Book, NCTE Orbis Pictus Honor Book, and Kirkus Reviews Best Children's Book of the Year, centers on this fateful day and places it in historical context. In the nineteen fifties and early sixties, Birmingham, Alabama, became known as Bombingham. At the center of this violent time in the fight for civil rights, and standing at opposite ends, were Reverend Fred L. Shuttlesworth and Eugene Bull Connor. From his pulpit, Shuttlesworth agitated for racial equality, while Commissioner Connor fought for the status quo. 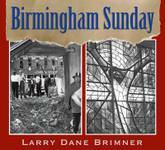 Relying on court documents, police and FBI reports, newspapers, interviews, and photographs, author Larry Dane Brimner first covers each man's life and then brings them together to show how their confrontation brought about significant change to the southern city. The author worked closely with Birmingham's Civil Rights Institute as well as with Reverend Fred L. Shuttlesworth and his wife to bring together this Robert F. Sibert Honor Book, ALA Notable Children's book, and Kirkus Reviews Best Children's Book of the Year. It's Christmas Eve, and up high on a mesa Old Armadillo calls Merry Christmas! But no one is there. He checks his letter basket but finds no Christmas cards. Believing his friends have forgotten him, he shuffles into his casita and falls asleep. But his friends haven't forsaken him. Roadrunner, Coyote, Bear, and other friends arrive to secretly decorate Old Armadillo's house. When Old Armadillo opens his door, he discovers a beautiful Christmas surprise. Larry Dane Brimner's quiet and comforting story, warmly illustrated by Dominic Catalano, is the perfect choice for little ones at Christmastime. Halloween is full of surprises. Old Armadillo hears the distant sound of laugher and voices as children scamper from house to house. He sets jack-o'-lanterns on the edges of the flagstones. Inside his casita, he settles down before the fire with a mug of hot cocoa and his favorite book of ghost stories, waiting for goblins, pirates, and princesses to come knocking. He is ready for Halloween. Old Armadillo waits and waits and wonders if he ever will be visited by trick-or-treaters. Meanwhile, outside, Roadrunner, Bear, Peccary, and other friends are planning a Halloween surprise for Old Armadillo. But when friends knock on his door, they find another surprise in store. Old Armadillo and his friends from Merry Christmas, Old Armadillo have returned for another holiday. Includes a glossary of Spanish words.